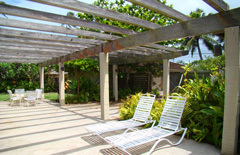 Comfortable two story decorated with tropical island style furnishings. 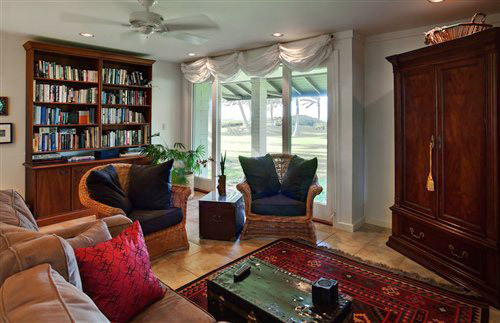 High ceilings, sky lights and lots of sliding doors make this home a cozy and breezy get away. 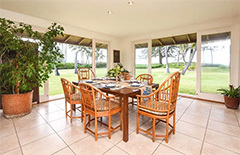 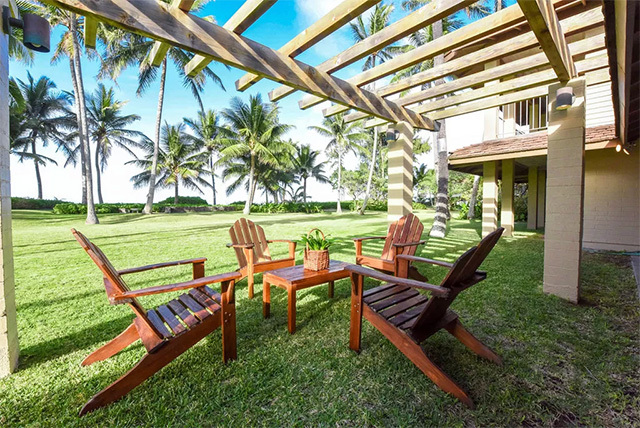 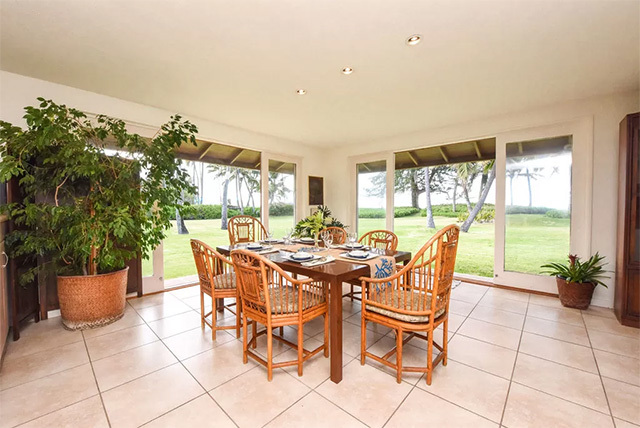 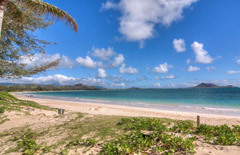 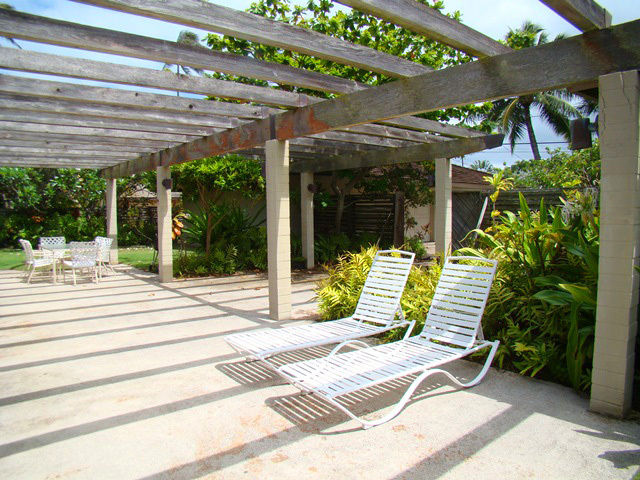 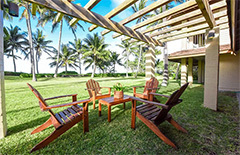 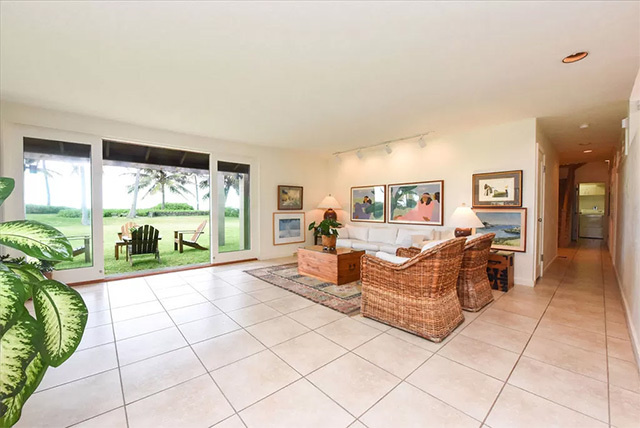 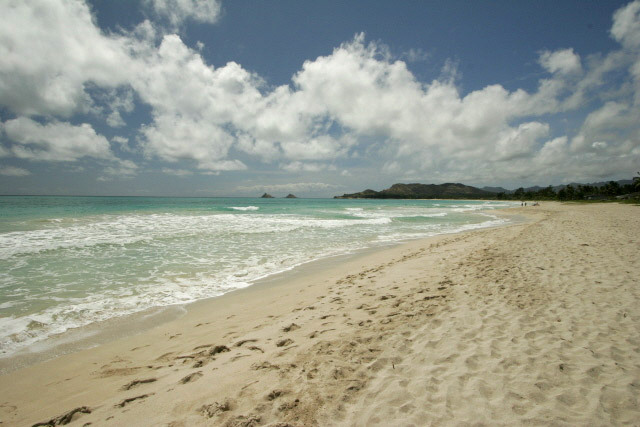 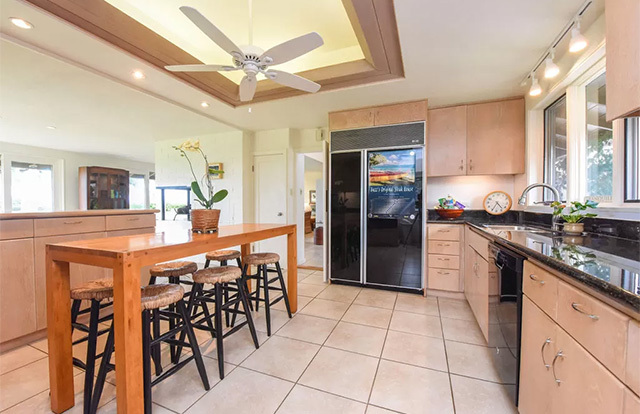 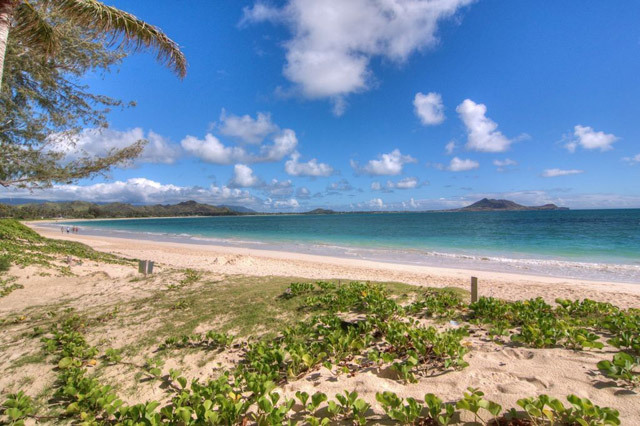 Relaxing views of Kailua Beach from sitting room, dining room and TV room offering lots of space for everyone.